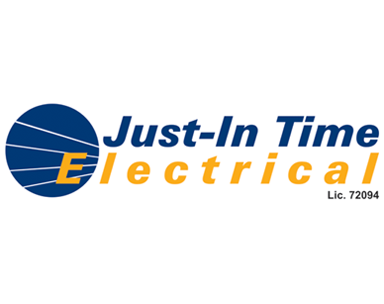 Just-In Time Electrical is your LOCAL BRISBANE ELECTRICIAN and St Cat's FC is proud to announce them as one of our 2019 Field Sponsors. Justin, the owner is a born and bred western suburbs guy and is proud to be supporting the St Cats Soccer teams. Just-In Time Electrical specialises in delivering solutions to your electrical, air conditioning and communications needs. Just-In Time electrical is available 24/7 with their after hours and weekend emergency electrical service. Call Just-In Time Electrical when you need your next electrical upgrade. Just-In Time Electrical is one of only five Field Sponsors that support St Catherine's United Football Club with extended sponsorship support. You will see their signs around Peter Lightfoot Oval.